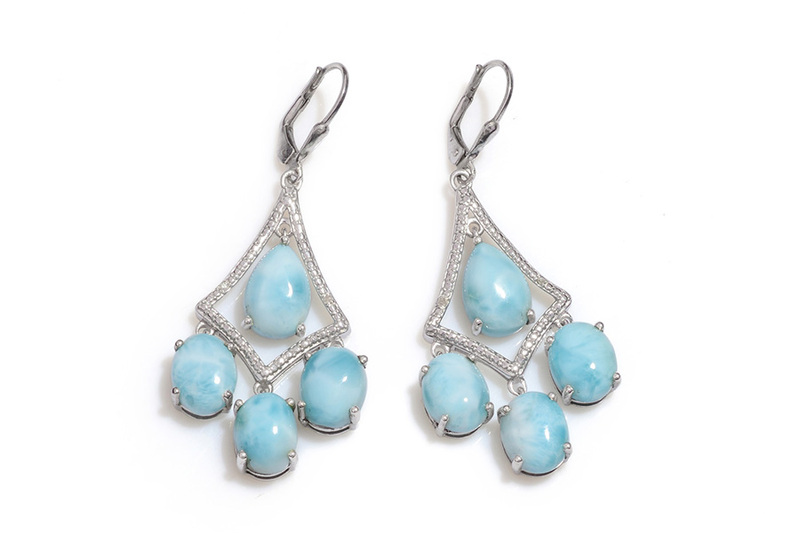 Larimar sometimes called the Atlantis Stone is a trade name for the rare light- to sky-blue variety of pectolite. Its dappled blues and oceanic greens capture the beauty of the shimmering Caribbean Sea. In 1974 U.S. Peace Corps member Norman Rilling and islander Miguel Mendez stumbled upon beautiful blue stones scattering the Dominican shore. Mendez christened them Larimar after his daughter Larissa and "mar" the Spanish word for ocean. Years before their finding American psychic healer Edgar Cayce (1877 - 1945) predicted that a portion of the lost city of Atlantis would be uncovered in the Caribbean near the island of Hispaniola (Haiti and the Dominican Republic). He also indicated that there a blue stone with unusual healing properties could be found. Larimar was found near the Hatian border of the Dominican Republic. The discovery of this rare blue stone along with the discovery of the sunken Bimini Road in 1968 seemed to validate Cayceâ€™s prediction earning Larimar the nickname of Atlantis Stone. 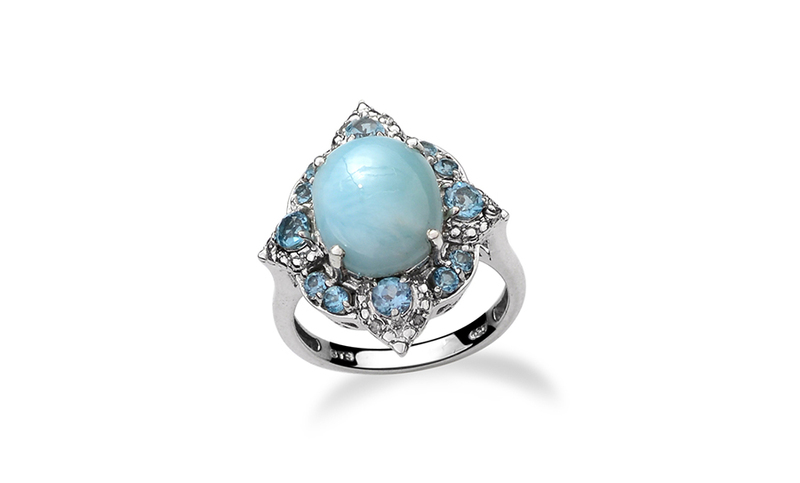 Though considered as a volcanic stone Larimar is a form of pectolite. 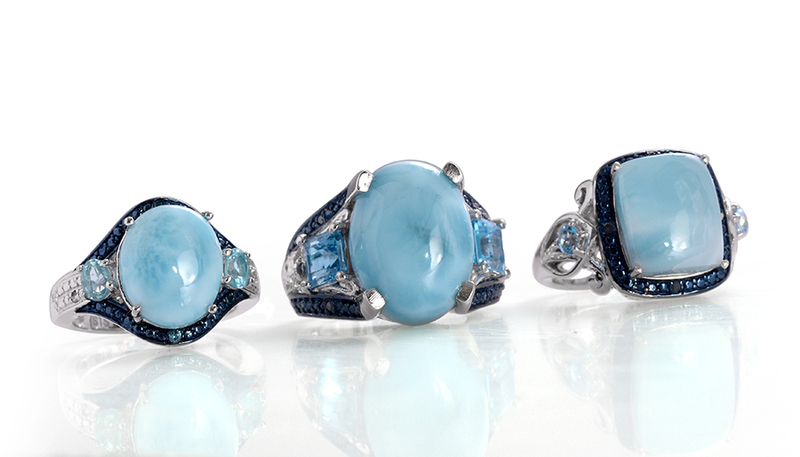 While pectolite is common in almost every hemisphere only Larimar develops the unusual Caribbean blue hue. Larimar is only available from the Dominican Republic. • Crystal healers have used this gem to alleviate post-partum depression and combat the stresses on new parenthood. • It is believed to heal unresolved issues or fears and prepare the heartbroken to seek new love. Larimar was discovered close to the village of Baoruco in the Barahona province in the Dominican Republic close to the Haitian border. Extracting this gem can be a challenge. 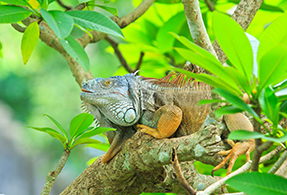 Mine sites are hard to access and they are vulnerable to hurricanes and weather disturbances. 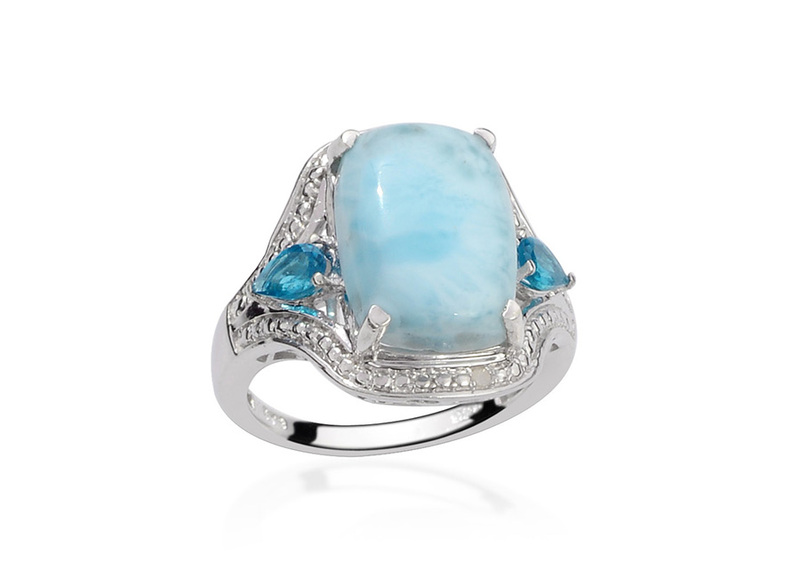 Of the raw Larimar extracted only the top three percent of gemstones with the highest standards go on to become Shop LC gemstones. Ranks 5 on the Mohs hardness scale. Colors present a mottled light- to sky-blue with striations of blue white and gray. Sourced from the Dominican Republic. Member of the pectolite branch of the wollastonite family. Also known as Atlantis stone Stefilia's Stone dolphin stone lorimar or pectolite. Occasionally mistaken for turquoise.